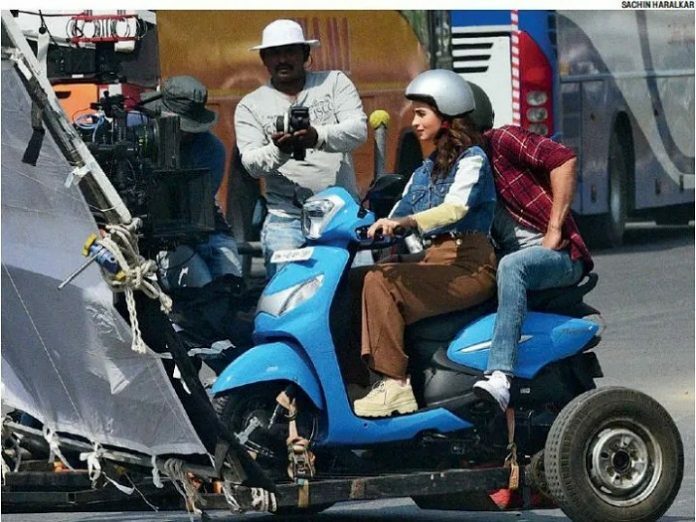 Barely have we finished sharing about the Pleasure and Hero’s reliance on it for its 100cc scooter sales, a spy pic of the 2019 model has surfaced (credit – Sachin Haralkar via Mumbai Mirror). Pleasure has so far remained similar in its overall design but for the first time Hero, considering the importance of the scoot, will be tweaking the looks completely. Upfront is a hexagonal headlamp (which has a silver trim) and the apron-mounted side blinkers are joined by a silver coloured design element. The side panels have been changed completely and there are expected to be comprehensive changes to the rear of the scooter as well. In essence, from the lone pic we have, the 2019 Hero Pleasure looks contemporary and the shot probably comes from its television commercial shoot, considering the presence of Bollywood actress Alia Bhatt. Till now Hero has continued to use the Honda-sourced 102cc engine on the Pleasure and it will be interesting if the company will gamble with its own 110cc motor – which has reported issues and has not found desired number of takers so far. 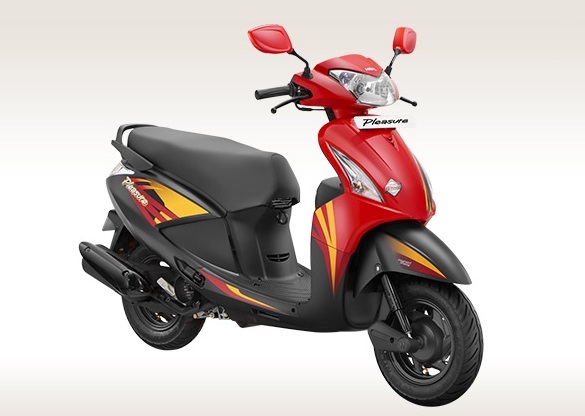 As we have reported recently, Pleasure which is still using the Honda-derived engine is outselling both the Maestro Edge as well as the Duet which are powered by Hero’s indigenously built 110cc engine. You can read that story here. Surprisingly, Honda has ditched this engine long back but Hero continues to thrive on it. Considering that the final promos of the scooter have commenced, we expect a launch anytime soon. For reference, the current Pleasure is priced at Rs 45,100 (metal wheels) and Rs 47,100 (alloy wheels). And yes after multiple delays, there is nothing concrete on the Xpulse from Hero yet!